A family from Isabalu Village in Central Maragoli, Vihiga County is reeling from sorrow after they discovered – on January 23 – that their relative died in the grisly Fort Ternan Homeboyz bus crash, which claimed 55 lives in October last year. Susan Ludenyi, 32, was headed to her parents’ home from Nairobi, when the accident happened. Ludenyi had visited her Nairobi-based friend, identified only as Caro, in September; and was returning to Vihiga on October 10, 2018, when the Homeboyz bus she was aboard veered off the road and rolled several times at Tunnel area on the Muhoroni-Londiani Road in Kericho County, killing at least 50 on the spot. Ludenyi had – until September 2018 –, spent most of her lifetime in Vihiga. Ludenyi’s mother, Margaret Daisy, said she had, on numerous occasions, tried reaching her daughter on phone after October 10, but her attempts were unsuccessful because her cell phone line was off. Ludenyi’s friend, Caro, would, in mid January this year, call Margaret to inquire if Ludenyi had arrived home safely. 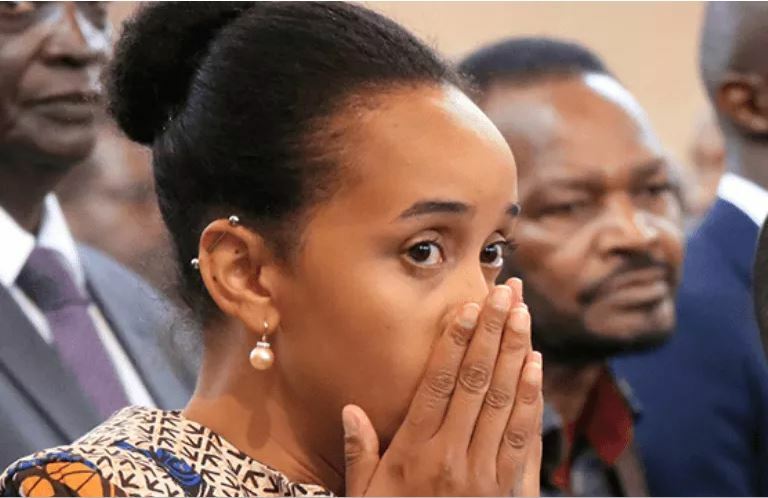 When Margaret answered on the negation, Caro advised her to go look for her body at the Kericho County Referral Hospital mortuary because she [Caro] suspected that Ludenyi had boarded the ill-fated Homeboyz bus. Margaret sought the help of Central Maragoli MCA, Evans Chunguli, and Vihiga Constituency MP, Ernest Kagesi, who faclitated her travel to Kericho, where she positively identified her daughter’s body on January 23 after confirming with officers at the Kipkelion Police Post, where Ludenyi was registered as dead. “Her face was badly deformed, and I had to look at birthmarks on her hands to confirm her identity,” said Margaret. Ludenyi’s remains have since been transported to Vihiga, where she will be buried on February 1. Ludenyi, who separated from her husband, is survived by a son and a daughter. Her family has appealed for assistance in educating Ludenyi’s children.